The U.S. Census Bureau aims to reduce its data gathering and logistics costs by $5.2 billion with the help of a contract with AT&T that is intended to centralize the data management platform, Fedscoop reported Wednesday. Grayson Ullman writes the Census Bureau’s field workers will perform surveys with AT&T’s 4G LTE network and Internet of Things tools under the Census Enterprise Data Collection and Processing initiative. The company announced its award of the five-year mobile survey data management contract Monday. Census Bureau Director John Thompson told the House Oversight Committee the agency intends for the mobile technology adoption to achieve efficiencies for the agency’s 2020 Census program, according to the report. 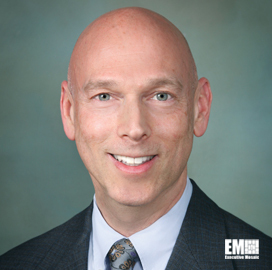 Mike Leff, vice president of AT&T’s civilian government team, told Fedscoop AT&T will work to help census field representatives maintain productivity and facilitate cost savings and predictability for the Census Bureau. AT&T will monitor workers and data through the company’s IoT management system, Ullman reports.